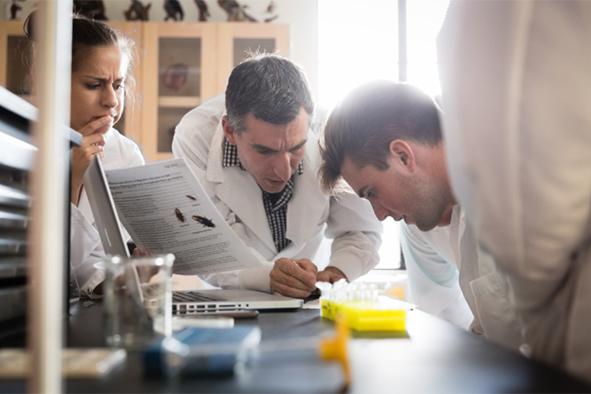 The curricula of our three majors—biology, marine biology, and biochemistry/molecular biology—expose students to a wide variety of classroom, laboratory, and field experiences fundamental to the life sciences, enabling them to think critically, learn technical skills for solving biological problems, and communicate biological information both in oral and written formats. 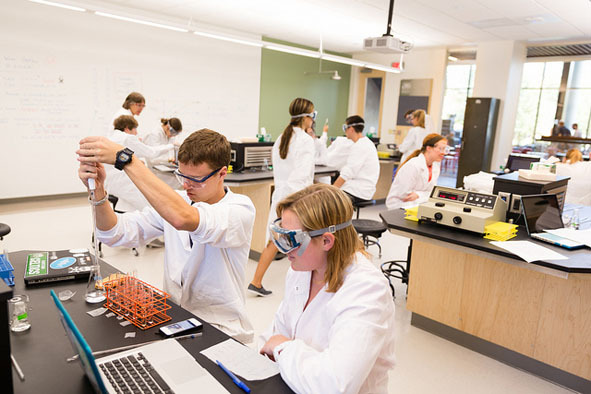 The recently renovated Bush Science Center features new teaching and research laboratories as well as the latest equipment for studies in general, ecological, and molecular biology. 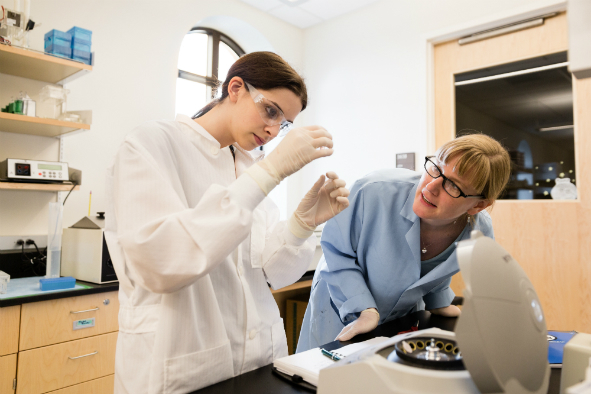 Work one on one with a Biology Faculty member learning practical research applications. Gain first-hand knowledge from distinguished professors that are experts in their field of study. 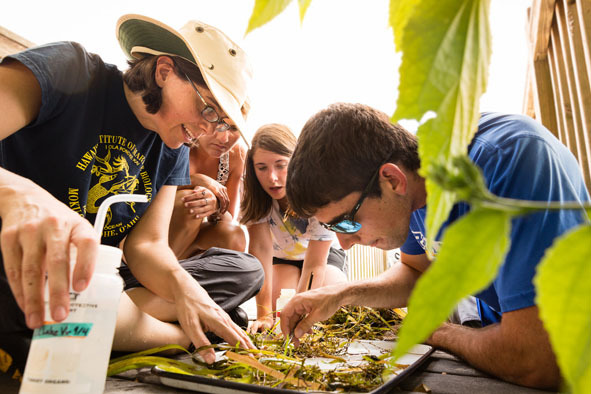 Rewarding and exciting, participating in off-campus field experiences give the students real-world exposure needed to stay highly competitive in the job market. Through selected electives, students may concentrate on specific areas of interest. These majors offer the flexibility to study abroad, minor in another area, or fulfill requirements for secondary teaching certification. Students also have excellent opportunities to engage in independent research projects. Graduates are prepared to pursue employment in biological laboratories or pursue graduate study in the health professions or biological sciences. The biology department is housed in the newly renovated Bush Science Center. This facility contains classrooms, teaching and research laboratories, and offices for faculty and staff. All classrooms are equipped with a computer projection system and, along with our teaching laboratories, have access to the Internet. Our faculty continually seeks out the latest equipment to give students hands-on experience in both our research and classroom laboratories.